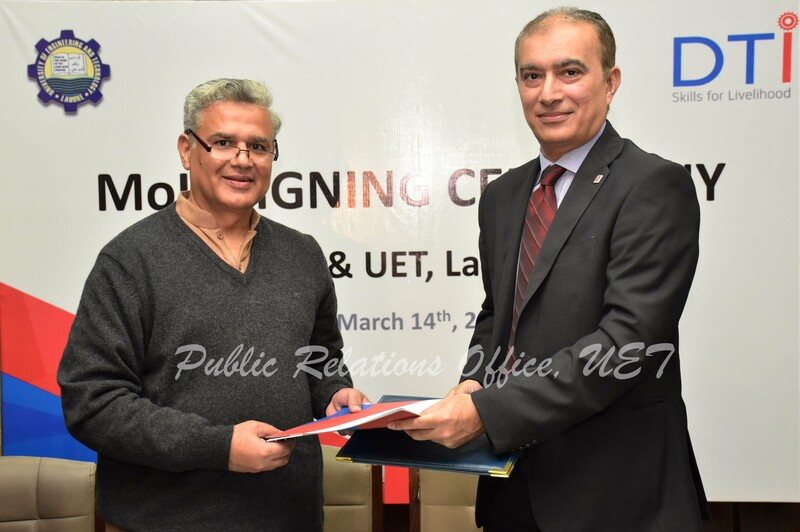 Department of Mechanical Engineering, University of Engineering and Technology (UET) Lahore signed a Memorandum of Understanding (MoU) with Descon Training Institute (DTI). 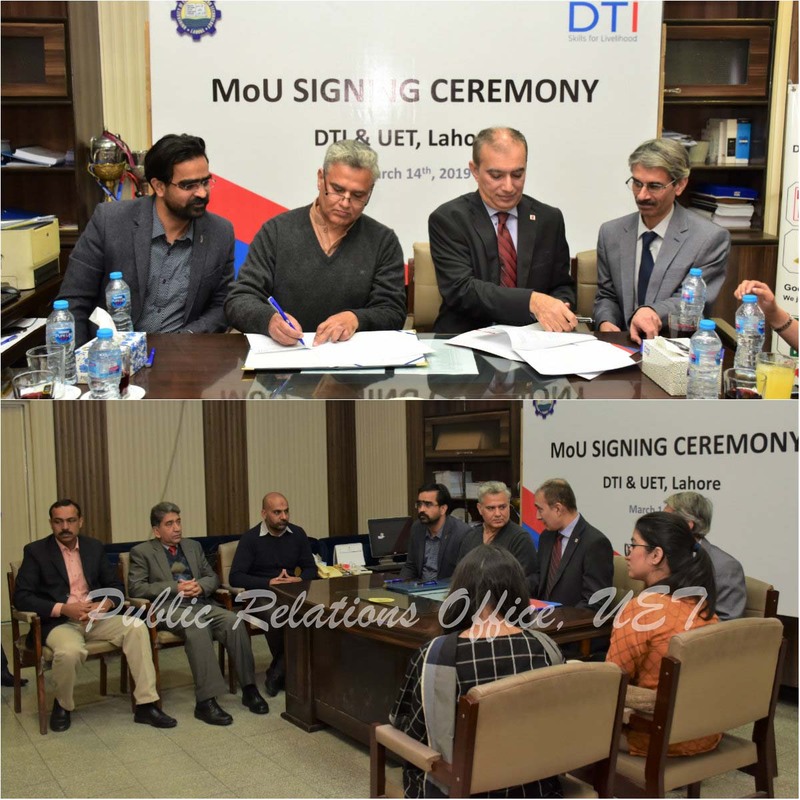 General Manager, Head Power Services & Head Academics DTI Mr. Murtaza Ali Kareem and Chairman Mechanical Engineering Department Dr. Nasir Hayyat and Director Semester Cell Dr. Zia-Ur-Rehman Tahir signed the MoU. The purpose of this MoU was to mutually join forces in conducting CPD activities in campus and to offer Internships opportunities to UET students. 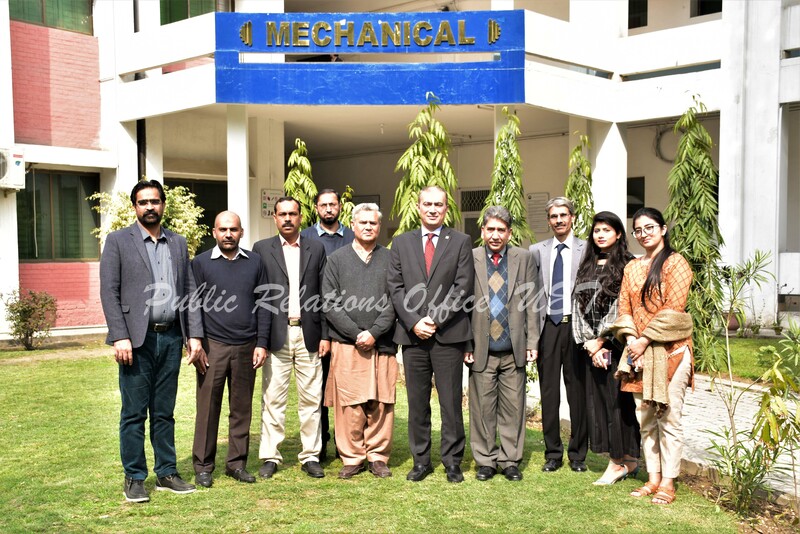 It was also discussed in the meeting that DTI will offer its Final Year Projects to UET students in the area of Boiler and Pressure Vessels. Furthermore, delegations from Mechanical Engineering Department will visit Descon Training Institute in future to further explore the terms and conditions of collaborations.